Head to Amazon.com where today only you can score up to 80% off select New York Times Best Sellers on Kindle! 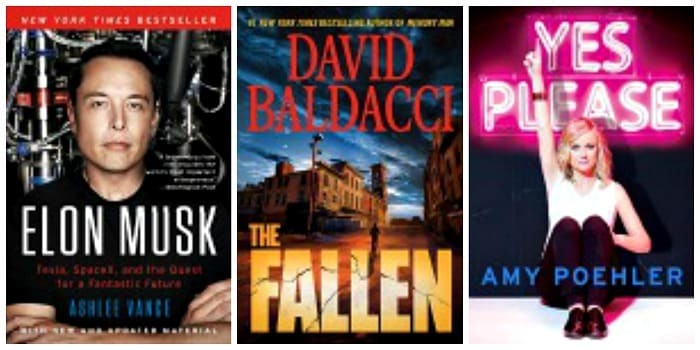 You’ll find several highly rated books to choose from including The Fallen (Memory Man series) by David Baldacci, Elon Musk: Tesla, SpaceX, and the Quest for a Fantastic Future by Ashlee Vance, Yes Please by Amy Poehler and more! This Amazon deal of the day is valid June 24 only and while supplies last. Wow, now that’s a deal! Thanks for posting!